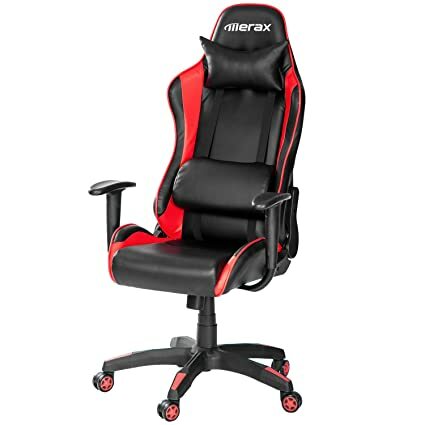 Merax has been always devoting itself to delivering the best products of high quality and cost-effectiveness to our customers. 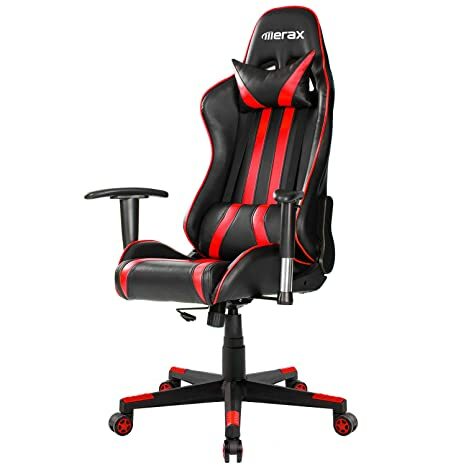 Our only pursuit is to meet our customers all kinds of demands no matter how hard it is to fulfill.Our Merax chair designers spent days and nights drafting and discussing what kind of design is going to be suitable for our customers and satisfy their demands. 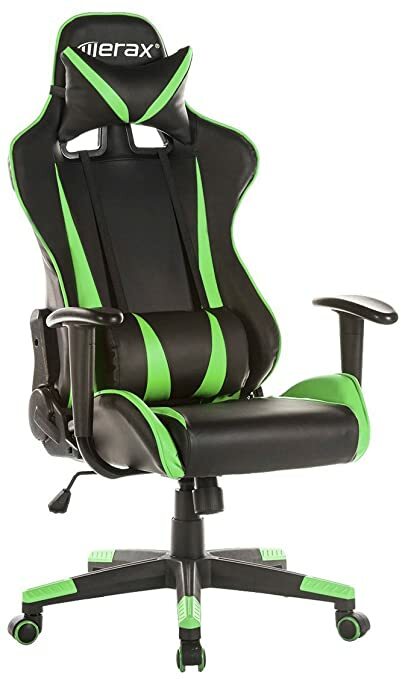 Finally, they came into being and turn out to be popular and welcome for theirs features. Except for focusing on their great-looking design, our structural engineers always spared no effort in designing easy set-up structure frame during assembly. 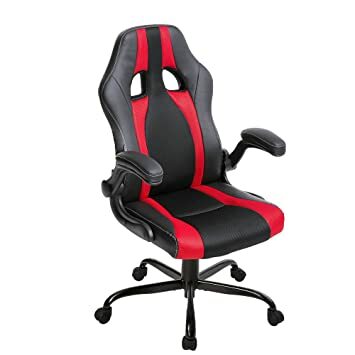 And also instruction is committed to be straightforward enough for everyone to understand.Product DetailsBack size: 21W30L inchesSeat size: 21W19D inchesSeat height: 21-24 inchesWeight capacity: 225 lbsYou could check the picture for more detailed information Actual weight: 87 poundsNotice:Items may slightly differ from photo in terms of color due to the lighting or your monitor’s display.Measurement error may exist due to manual measurement.Contact us when meeting difficulties on installation or any other problems,and your email will be replied within 24 hours. 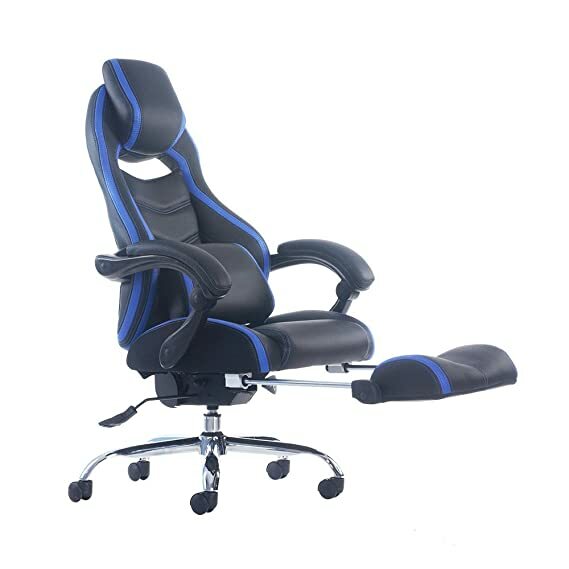 Description: This upgraded racing style chair is an eye-catching addition to any office environment or home setting. 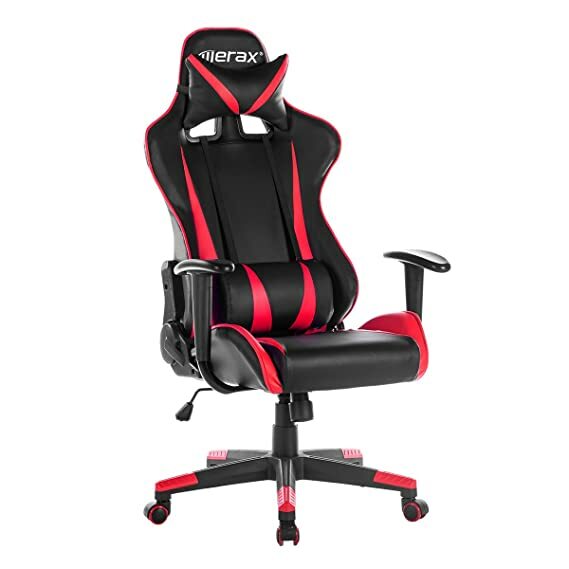 The sleek color scheme enhances the ergonomic design while the curved back and padded cushions work together to offer more comfort. 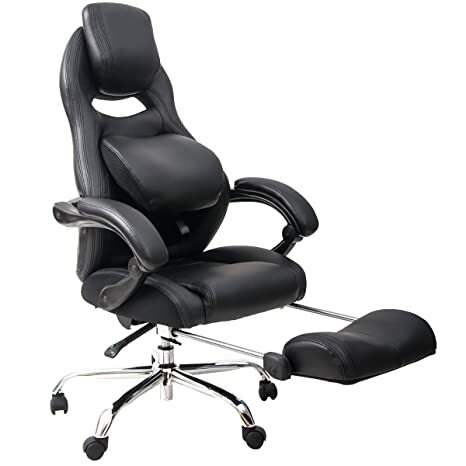 Utilizing the pneumatic gas lift cylinder for any height preference and smooth rolling casters let you move the chair with ease. 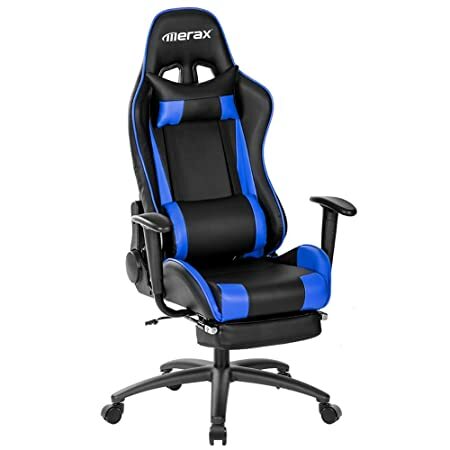 This upgraded office chair by Merax is your best choice. 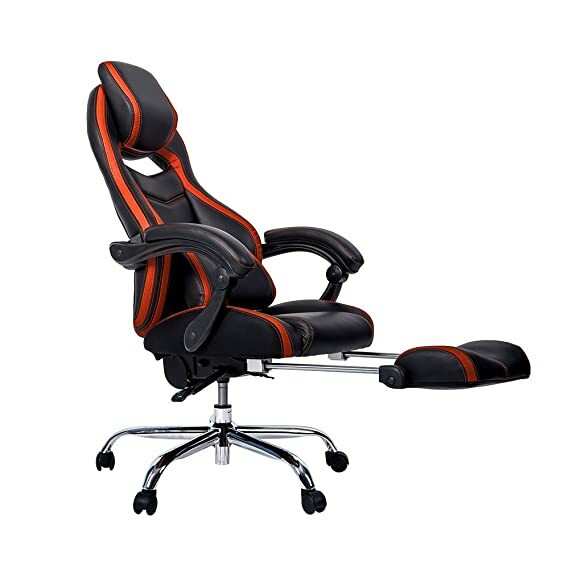 Features:: Durable chair with a combination of long-lasting seat, armrests and 360 Degree Swivel wheels, providing a strong and relaxing support for those long hours at work Features with functions of tilt lock, tension control, seat height adjustment Heavy duty base with durable casters for great stability Ergonomically designed offers much comfort during your office time and gaming sessions Assembly is required Dimension: Seat dimension: 20.07”W x 18.5”D Back dimension: 19.6”W x 27.5” Sitting Height: 17.6”-21.6”H Overall Height: 41.7”-45.6”H Weight capacity: 198 lbs More details look at the picture with detailed size Notice: Items may slightly different from photo in terms of color due to the lighting during photo shooting or the monitor’s display. 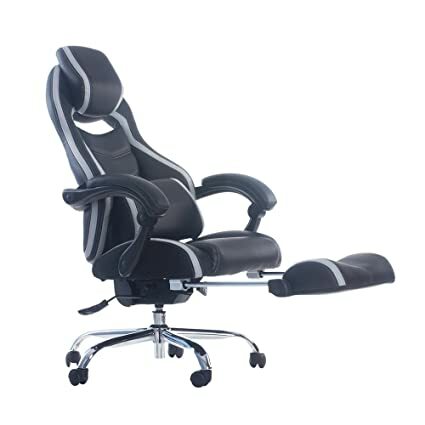 Features: Durable chair with a combination of 360 Degree Swivel wheels and mechanism provides a strong and relaxing support for those long hours at work Features with functions of 90 to 180 reclining backrest, tilt lock, tension control, seat height adjustment Removable headrest pillow and lumbar support cushion makes you feel relaxed Ergonomically design offers much comfort during your office time and gaming sessions Assembly is required Dimension: Seat dimension: 19.6”W x 20.1”D Back dimension: 22.6”W x 33.4” Sitting Height: 18.1”-21”H Overall Height: 48.8”-51.7”H Weight capacity: 225 lbs More details look at the picture with detailed size Notice: Items may slightly different from photo in terms of color due to the lighting during photo shooting or the monitor’s display.